UPDATE: Former DIG Nalaka de Silva who was arrested by CID over VIP assassination allegations have been remanded until 7th November. The former DIG was presented before the Fort Magistrate tonight (25) itself, following the arrest. 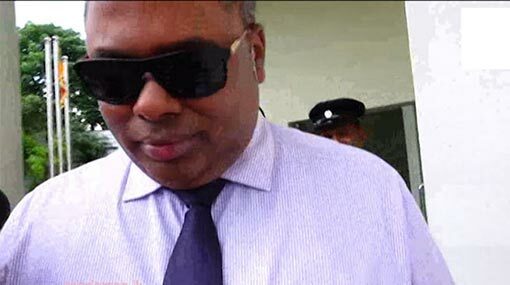 Former DIG Nalaka de Silva has been arrested by the Criminal Investigation Department (CID) a short while ago. This morning (25), former DIG Nalaka de Silva arrived at the CID for the 5th day to record a statement on VIP assassination allegations. He was previously summoned to the CID on 18th, 19th, 22nd and 23rd October to record statements on the same account and was interrogated by the CID for nearly 33 hours.